Yay! 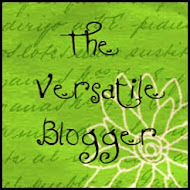 It's time for another PKS blog hop! If you arrived here from Viv's site, then you are on track (if not, be sure to start at the beginning at the PKS Challenge Site). The November stamp release is gorgeous! Today, I am featuring a new stamp set called Happy Lashes (PK-460). Leave a comment on this post for a chance to win the Happy Lashes 1 1/8" stamp set (PK-461). Please visit the other stops on the hop. Every stop has a new PKS stamp set to give away! Instructions for making this card is below the hop list. Follow the instructions for assembling the above pieces HERE. 1) Attach wide oval to 1 3/4" circle with dimensional. Stamp and color face on ornament. Glue neck of ornament onto back of wide oval. 2) Clip hat band out of punched round tab. Glue onto black round tab. Glue onto back of head. Attach hat brim to front of head with dimensional. 3) Clip leaves on each branch to create stick arms as shown in the above picture. Glue right arm onto back of body and left arm onto front of body. Glue heart onto chest. 4) Tie ribbon around neck (I used old olive taffetta). 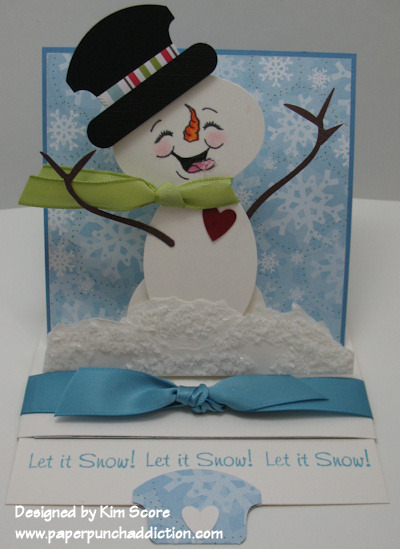 5) Attach snowman to pop up piece on card. Tear some pieces of shimmery white and glue to base of snowman for snow. Add Polar White Flower Soft to snow and a little onto the snowman's tongue. I love this card!! It's so cute. I just love the PK faces. They add so much to all projects. Thanks for sharing. Kim your work is truly an inspiration. 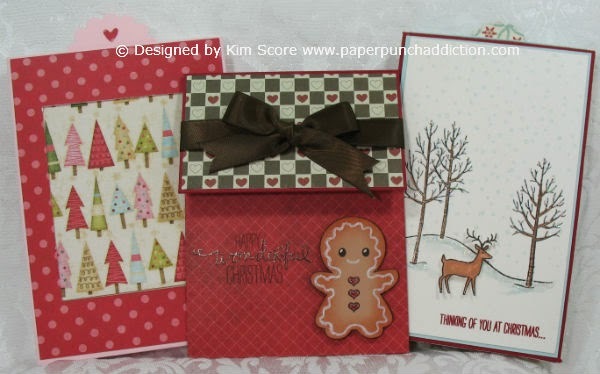 What you come up with using punches is amazing and inspires me to use mine for more than collecting dust! This card is absolutely adorable!!! Thanks so much for including the instructions....I am definalty going to try one! I love this face. He is so cute! This card is soooo stinking cute! LOVE it!!! What a great card. These stamps are so neat. They make your smile:) Thanks for sharing. Your card is so adorable. I need to get some punches! Sooooo cute! Love love LOVE your snowman. Thanks for the chance to win! This is SO cute! I love this pop up snowman. And I LOVE this new set of faces! me at glorajean dot com. Adorable, the snowman is soo cute! Hi Kim, oh, I love your little snowman, he makes me want to sing!! Your card is darling...just adorable! So cute! I love that real snow technique! This card is soooo cute! Love the snowman. Im new to your blog, but have been inspired but all your ideas. You are so very talented!! keep up the good work. the snowman is super cute!!! Very, very cute! These faces are adorable. Thanks so much for the preview! This is so adorable, Kim! Your cards and projects are always so cute! I especially love the snowflakes on his tongue! Very creative idea, and a wonderful card! OMG, OMG, this is just ADORABLE! I just LOVE snowmen! What a fantastic job and card! That snow man is so adorable and I love the new stamp sets!! So Super cute!!! You girls are so amazing. This is so adorable and I love how he is catching snowflakes on his tongue! Great card!! Your card is so cute! 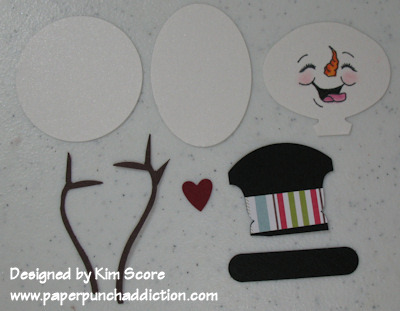 It is amazing that you can take little punches of paper and make something so cute! I love the snowflakes on the tongue!! Thanks for the instructions for this card. Adorable card...thank you for the instructions!! What a cute little snowman!! OMG so far this one is my favorite ~ I LOVE snowmen!!!! I just love that tongue hanging out catching snowflakes! I think I NEED this one!!!! Oh Kim this is sooo cute! The snowman is sooo cute! Love the snow on his tongue! Your snowman is so cute! Thanks for sharing the instructions. Beautiful card Kim as usual. Just awesome. Thanks for the chance to win. I hope work slows down for you and you get some play time. I LOVE your card! I love how you added snow to the tongue. SO CUTE!!! 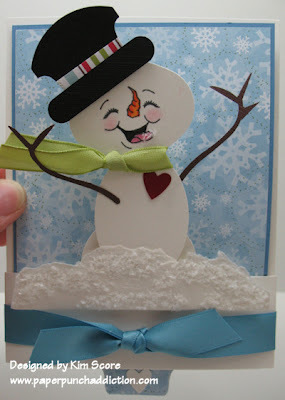 This card is beyond adorable... and your snowman is too cute with that snow on his tongue! AW so cute. I love the snowflakes on his tongue. Super cute card! I love the snowman's face and the bit of snow on it's tongue! Thanks for sharing! What a cute card! Love how the snowman is catching snowflakes on his tongue! I LOVE this pop up card! It is sooo cute. Oh my GAWD! I love your snowman. These new stamps are awesome! I just love snowman...Your card is so adorable. Thanks for sharing and the chance to win. Love how you incorporated punches in your card, so cute! Love the new stamp! Too darn cute! as usual! OMG this card is amazing! I am so inspired! Soo sweet!! The flakes on the tongue are the cutest little detail!! You do wonders with those punches! What a cute card! love how that cute little snowman POPs!!! That face is super cute. The snowman is so cute and I love the stamps. You always blow me away on how you create with punches! Your AMAZING! Your vision blows me away! Love all the details... that snow is awesome! Thanks for sharing especially how your give detail instructions! Awww...to cute! Love it. Thank You for being in the hop and for a chance to win Peachy prizes. I LOVE snowmen and Stampin Up stuff. Thanks for sharing such a wonderful project. This is just adorable. I love blues and snowmen. A great combo. Awesome card! Love the snow on his tongue! What a cute snowman!!! And the face stamps are adorable!! OMGoodness! How adorable is that snowman! Super cute! Thanks for the instructions on the daring snowman. I love Christmas cards and the snowman is just what I need!! Thanks for sharing! This has got to be the cutest snowman ever! I love his face and your card rocks! Oh my gosh, your snowman card is soooooooo adorable. I am LOVING this stamp set. It has so many cute possibilities!!! This little snowman is soo adorable. Great card. Super Duper Cute! I love this snowman...his face is so stinkin' cute! Thanks for all you do and for the chance to win! Adorable snow man!!! I love how you have added snow (flower soft) to his tongue. His face features are the cutest. Thanks for sharing your card design/technique. I love snowmen!!! So cute!!! Awesome card! Thanks for sharing your talents with us. This is the cutest snowman with the silliest face. So adorable. I have never seen these stamps- but they are so cute- thanks for sharing. This card is absolutly adorable!! WOW, would I love this adorable set! SO cute!! Oh my goodness, I LOVE THAT SNOWMAN! He is tooooo cute!! I am really hoping I win this set so I can try making a snowman of my own! Thank you for sharing these fantastic new stamps and the giveaways! This card is totally cute! I almost want to create the peices to have the little kids I babysit put it together! 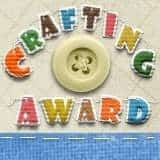 They would love a craft like this! That snowman I can't get over it is so so cute! contact: arebori0204@gmail.com: If i am luckey enough to win some candy or holiday cheer! once again Kim..cute cute use of punches and stamps..can't wait to try this out myself.. thanks again for sharing ..
Name fit well, he is really a happy little fella, darling and beautiful work. Thanks for sharing. Kim this is so sooo adorable!! I love the snowflakes on the tongue! It's perfect!! Your snowman is adorable. Love that he is catching snowflakes on his tongue... Thanks for a chance to win! What acute snowman love it! OH MY...I LOVE this little fellow...He just make your heart melt, don't he?! Happy Lashes..how unique! 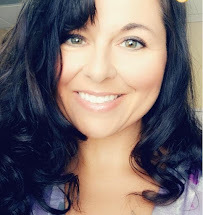 Keep up the awesome inspiration Kim! I think this set is my favorite of all. Love those darling eyelashes. Such a pretty snowman face. To darn cute!!! What an adorable face. This snowman this the fairest of all. He is such a cutie. I remember catching snowflakes with my tongue. Such fond memories. A True papercraft indeed all the way down to the adorable face stamp! You can really see the joy in his face as he catches the snow on his tongue! love the pop ups. Snow man is adorable. Your snowman is too cute! Love the Flower Soft for snow too, great touch! Thanks for sharing and for a chance to win! LOVE IT!!!!! My favorite (besides the cute face) the snow on the tongue!!!! TOO CUTE!!!!! That Snowman is the cutest snowman I have ever seen. Your card is just beautiful! Absolutely adorable! I am loving the new stamps!!! Your snowman is so cute, and those stamps sure add a lot to him! I would love to try them out too. Wow, your card is amazing! Thank you for generously sharing your how to information! I really like the Happy Lashes set. What a wonderful card, love the little bit of snow on his tongue. Love this card! Although, after all the snow we had last year my friends and family would think I was crazy to send a card that said, Let it Snow! Hmm, just might have to do that! Thanks for the card idea and all your great ideas! He is adorable!!! Love it! Love this set. They are so cute. Thanks for the hop and your talent. Another simply adorable set! Your card is fantastic. I love these lashes stamps, makes cards that are so adorable. I love those happy Peachy Keen faces! What a darling snowman! Thanks so much for sharing!! OMG!!! I love this card Gotta have the faces!!!! I love what you do with the pieces. Alwasy amazing. Adorable popped card! I love the snow on the tongue, a great touch. I really love this card I must say that I love snowmen, funny I hate snow. I love the happy lashes. I think this is the cutest snowman! I love him.....this blog hop has been the greatest with such creativity from all of you. What a wonderful little snowman! Such a happy face and I love the card! That's an adorable card! I love the faces on the stamps! What an adorable card! Thanks for your inspiration! Love love love your card!! These stamps sets rock!! So does the hop!! I love the card. Thanks for the chance to win. I really love your characters made out of punches they have so much character. Thanks for the chance to win. how adorable! snowpeople with kickin lashes! i'm loving this line of peachy keen! what a cutie patootie snowman!!! Too cute! Love your snowman! Love the happy lashes!!! so stinking Cute!!! I am now a follower and love your blog and the Directions to the snowman...Now all i need is the stamp set....LOL!!! I love the new stamps and would love to have the new year assorted faces!! This is the cutest guy ever. Love the hat. OMG!! This is soooo cute!! I love the face!! Thanks for the tutorial I would love to try to make a card like this! Well, Happy Lashes snowman sure does make me happy. Thanks for sharing and for the chance to win the stamp set. Absolutely adorable!!! 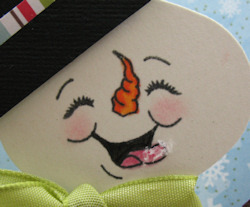 Love the face on the snowman and the little snowflakes on his tongue! How cute is that!!!!! Love all of the little details and how perfectly you added color to the face! I am amazed at all the different things you design with these punches!! They are all so cute, but this snowman Is really adorable. TFS! I have 4 sets of PK faces and when i saw this I about screamed I NEED IT! it is so cute! Isen't the little snowman so adorable..guess I am going to go shopping. What an adorable card! I LOVE it!! TFS! OMG Kim what a hoot your little snow person is. I just love him and MUST try to recreate him soon. Thanks for sharing. love this. snowmen are so cute! i really just love his sweet face and the snow he is sitting in! Adorable....I love snowmen! Love the melting snow on the tongue! I love the snowman itself. But when put on the card, it sang(:. SO Beyond Cute! I absolutely LOVE snowmen and this is adorable!!! Too CUTE!!!! Love the snowman!!! What a cute snowman!!! Thanks for all of the directions. I am liking the happy lashes! TFS! 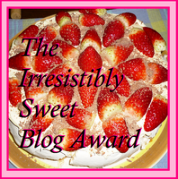 This blog hop is great. I love this stamp and this card. Those faces are so adorable! Your pop up card is so stinkin cute! Thanks for the chance to win these great stamps! oh wow i love this card thanks for the tutorial! thanks for sharing and the chance to win! Very cute. Thanks for the insperation. I love snowmen. My house will be over taken by them real soon. Thanks for sharing. Such a cute card...I just love snowmen!! (Not snow though!!) TFS! Boy I forgot about the peachy keen release blog... glad I came by and for a chance to win a stamp set! Oh yes... tks for the wonderful punch art as usual it is soooo cute! What a super cute little snowman. I just love him. I love your card. TFS!! Your snowman is just so cute! Thanks for the instructions on how to do it. I would love a chance to win the prize. omgosh! what an adorableeeeeeee punched art snowman this is!! Mr. Happy Lashes is simply charming. Great card! Thanks for sharing. Way tooo cute! I love that snowman! Thanks for sharing and for the chance to win! Oh my gosh that is just adorable!! I LOVE these stamps and must have them lol. TFS!! this set is a MUST have! Love the card too!! Cute card..thanks for the instructions...i might make me one.. This is so adorable & cute snowman. I loved PK faces. I ordered one of face stamp sets & I loved it. Snowman is still my favorite. Great job. Keep up good work. This is my Favorite set. Very cute snowman. Thanks for your time on the hop. I love this card. Especially the Snowman, he's cute!!! HI, I love this card. Especially the snowman. he's a cutey!!! Kim... what a magnificent way to show off your project. Love the way you broke it down to let us know how this cute lil snowman came to life! I think so far this is my fav set from this collection that was just released. Great Work!!! Very cute snowman card....love snowmen..they are irresistible!! Love those long lashes. Your project is adorable. LOVE THE SNOWMAN AND YOUR PUNCH ART TECHNIQUE! SO unique..
Love the bits of snowflake on his tongue.